Major storm expected in the central United States tomorrow and tomorrow night. 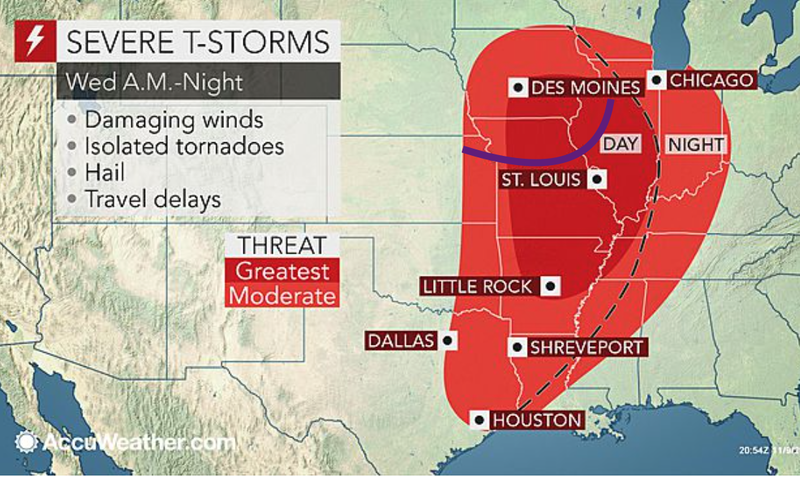 I think the AccuWeather graphic speaks for itself but I wish to emphasize there is an enhanced risk of tornadoes near and northwest of the purple line I've added. Farther west, the storm's effects will also be felt. The brown is a high wind warning for wind gusts to 50 mph or higher. There could be scattered power outages. 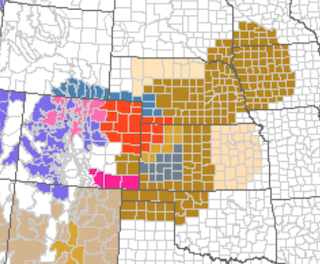 Orange is a blizzard warning for NW Kansas and NE Colorado and pink is a winter storm warning. This will affect Interstate 70 and Interstate 76. Please factor this into your travel plans.